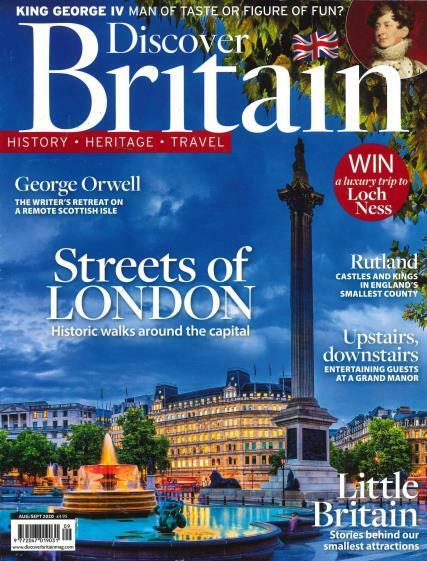 Discover Britain is Britain’s leading, historic, bimonthly, travel magazine; it provides an essential guide to the very best of the British Isles. Learn all about the events that help shape the nation or just look for influence for a city break. Buy a single issue or subscription to Discover Britain magazine. Followed by £19.99 every 12 months by direct debit. Discover Britain is filled with news and features on the finest homes and castles, practical guides to cities, in-depth articles on the British culture and traditions, and much, much more. Appreciate the striking photography and articles provided by the best travel and history writers across the globe. Take a journey through the rich past and historical present of Britain - the complete guide to everything British. Whether you are looking for inspiration for days out, exploring the heritage, or uncovering the past Discover Britain is perfect for you!